#Thunder got their 6th straight win last night. Tonight, they host the #Rockets as they go for number 7. 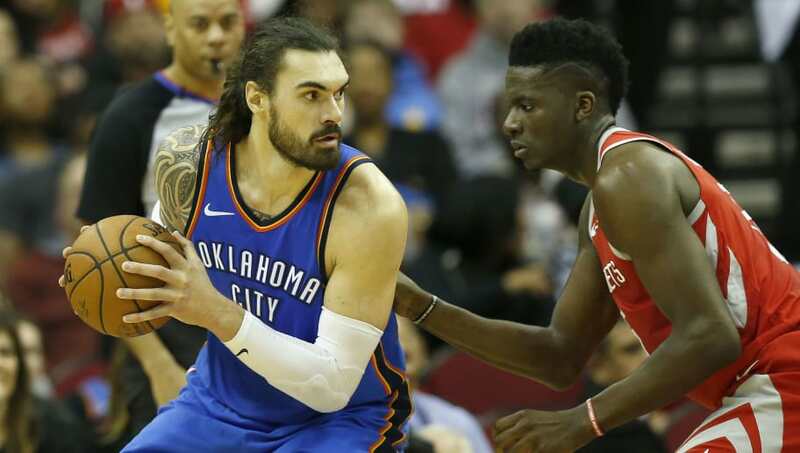 The Thunder have won six straight games heading into tonight's game, while the Rockets are on a three-game winning streak. The Rockets are allowing (110.1) almost five more points per game than they score (105.3). The Thunder score (111.4) almost three more points a game than they surrender (108.8). The Rockets and Thunder average almost an identical amount of assists per game with 21.3 and 21.2 respectively. Carmelo Anthony Over 14.5 Points (-106): Carmelo Anthony hasn't had the start with his new team that he hoped for, which is pretty much the same way it went for him in OKC last season. But Carmelo isn't completely lost. He still shows flashes of the once-dominant scorer he was a few years ago. Tonight, in his first game returning to OKC, expect him to be locked in and assertive. That could lead to a big game. Dennis Schroder Over 18.5 points (-122): Dennis Schroder has been fantastic while Russell Westbrook has been out with injuries this season. He dropped 28 in Wednesday's game against Cleveland. Yes, Schroder goes up against Chris Paul tonight, who is historically a great defender, but Paul is in the midst of arguably the worst year of his career on both sides of the ball. The Rockets team defense hasn't been anything special this year either, ranking 17th in the league. Someone has to take the shots while Westbrook is out and Paul George isn't going to jack up 50 of them. Schroder should have plenty of opportunities.